In it! 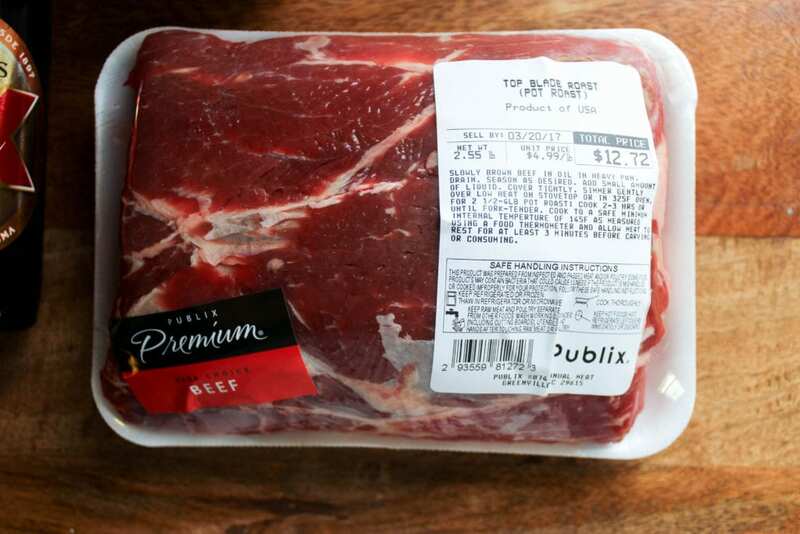 Is beef, honestly any kind of shoulder/roast cut that you like. This is top roast, but sirloin roast or rump or anything similar works great. Boneless is my preference, but bone-in is fine considering how long we’re cooking this. 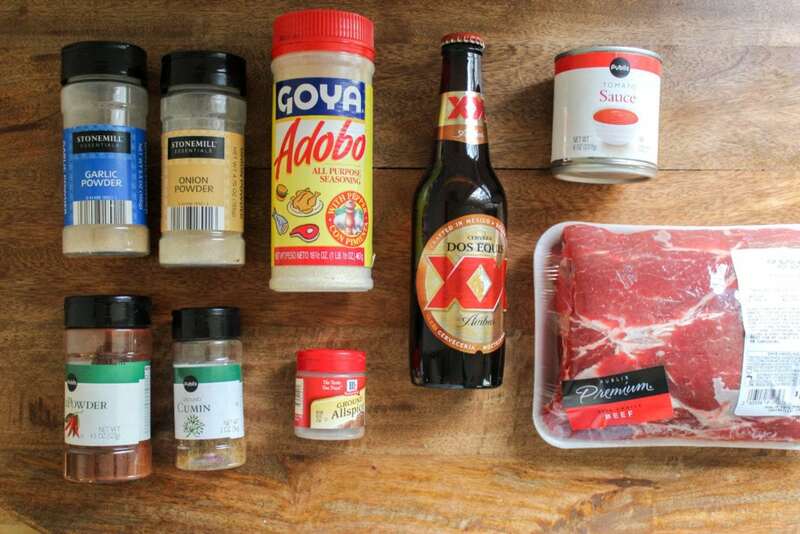 In addition to the beef, we have garlic powder, onion powder, Adobo seasoning (or sub salt or sub seasoned salt), chili powder, cumin, allspice, a beer, and tomato sauce. I got Dos Equis to be fancy (ha), but any kind of medium-to-light beer you have is just fine. First, we prep the slow cooker with the tomato sauce and half the beer. Dump it in! Next, we season and sear the meat. I mix all of the spices together, then rub them all over the meat while a big skillet preheats with some olive oil to HAWT. Medium-high, preheated for 7-10 minutes is my preference. The oil should be almost or just barely smoking. Sear the meat on all sides for maybe 5 minutes/side. This all depends on how hot your skillet is, but the meat shouldn’t stick to the skillet. If it does, it’s not ready to flip. If the skillet gets dry, drizzle in oil about a tablespoon at a time to prevent the bottom of the skillet from getting a ton of char on it. When the meat is browned on all sides, use tongs and friends and a spear of some sort to transfer it to the slow cooker on top of the tomato sauce mixture. 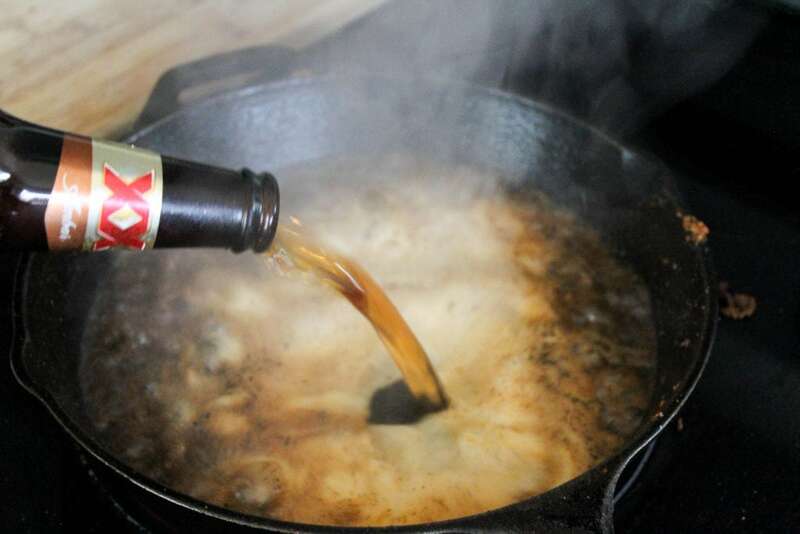 Turn the heat off the skillet and add the other half of the beer. 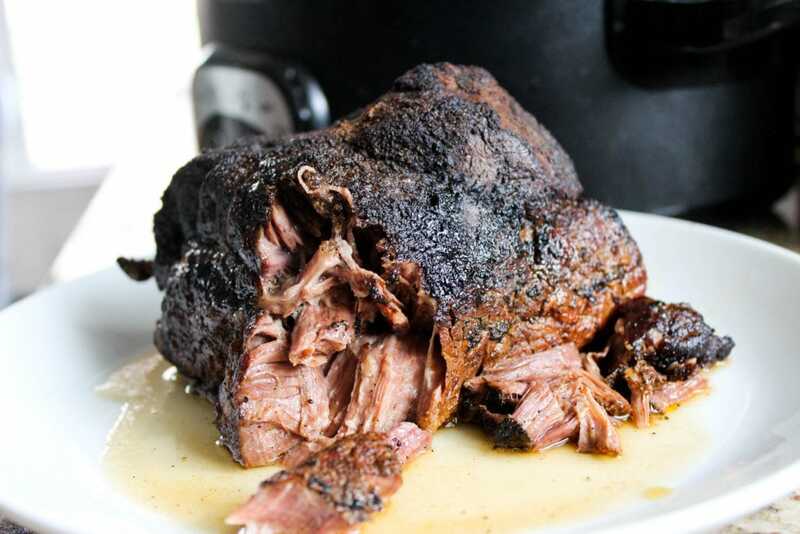 Swirl it around, then pour it into the slow cooker with any beef bits and spices from the bottom of the skillet. Now, the rest of the time is down time. I actually cooked this overnight because I was making this for a lunch, but cook time will be 8-10 hours on low, 6 hours on high (maybe 4 depending on the size of your meat), but that’d be pushing it. 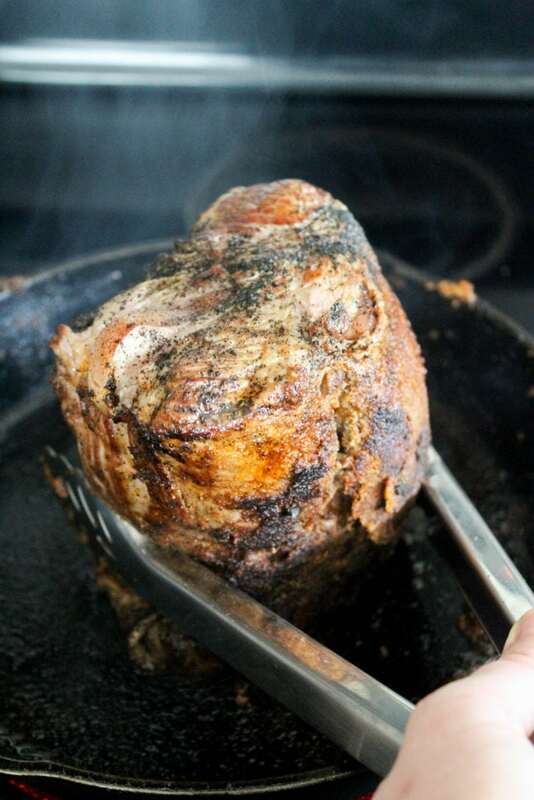 Using low heat will yield more juicy tender meat, so I’d go for that if you have the time. 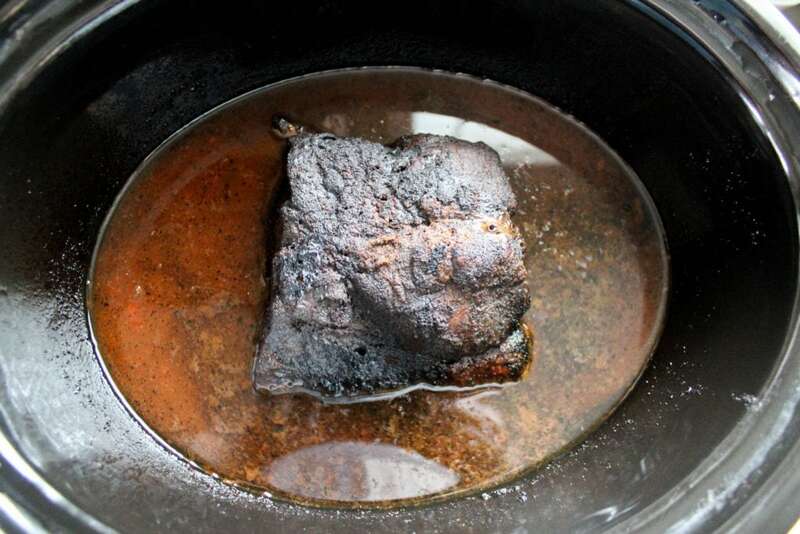 When the meat is cooked, it’ll have released most of its liquid and shrunk considerably. Now, the rest of the prep is reducing the cooking liquid and shredding the meat, plus any other prep for your meal. Which you already had 10 hours to do so. Here are the drippings. Mine didn’t have much fat at all, so I put them in a skillet over medium-low heat, reduced them by about 1/3, added more salt, and was done with it. 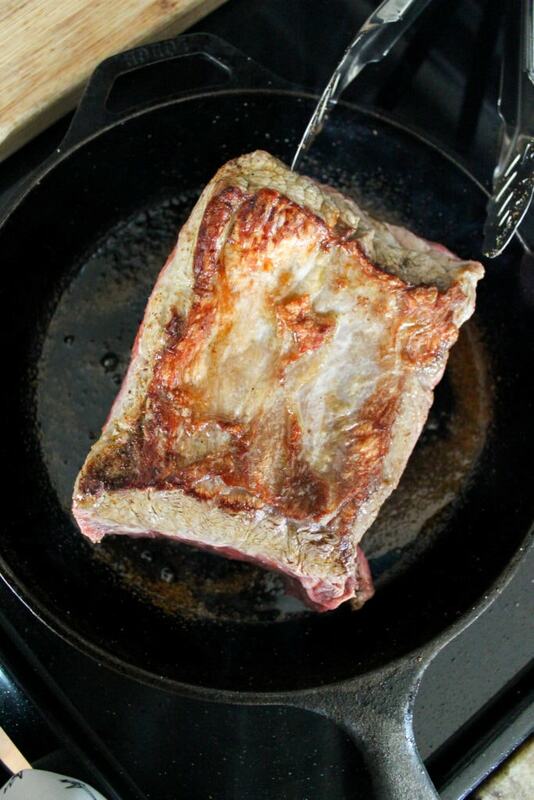 If you had a fattier piece of meat you might choose to skim some of the fat off the drippings. 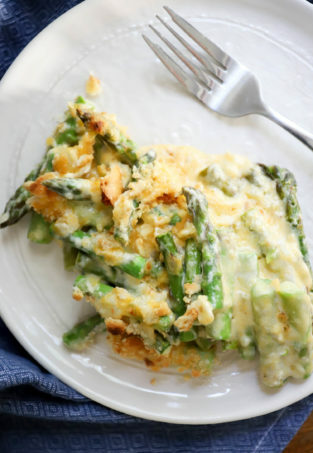 Use your fingers or forks to shred the meat into bite-sized pieces. If it doesn’t shred SUPER easily cook it longer with the drippings. Now, this can be made way in advance, even a day or 2. 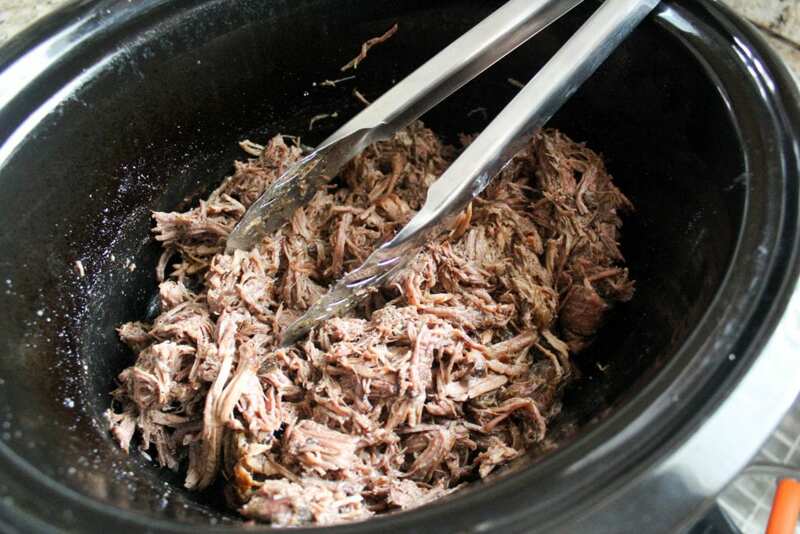 To store, put the meat back in the slow cooker with 1/3 of the juices that you’ve reduced. Taste the meat, and add more salt if you’d like. Store the rest of the juices separately. 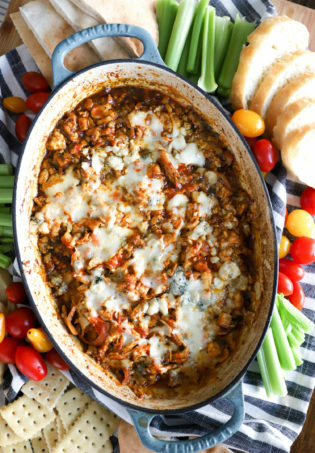 When you’re ready to eat, reheat the drippings in a skillet, small pot, or even in the microwave, and warm the beef in the slow cooker on Low or Warm setting. Then eat! Extra drippings for drizzling, tortillas or rice, lime and cilantro for sure. We added salsa and guac, but honestly the beef alone with some lime juice is fantastic, no extras necessary. I’ll be posting new and old Mexican recipes to get us psyched for the holiday that I’m too old to celebrate. You, on the other hand, can totally go for it. Enjoy! Preheat a large skillet to medium-high heat with olive oil. 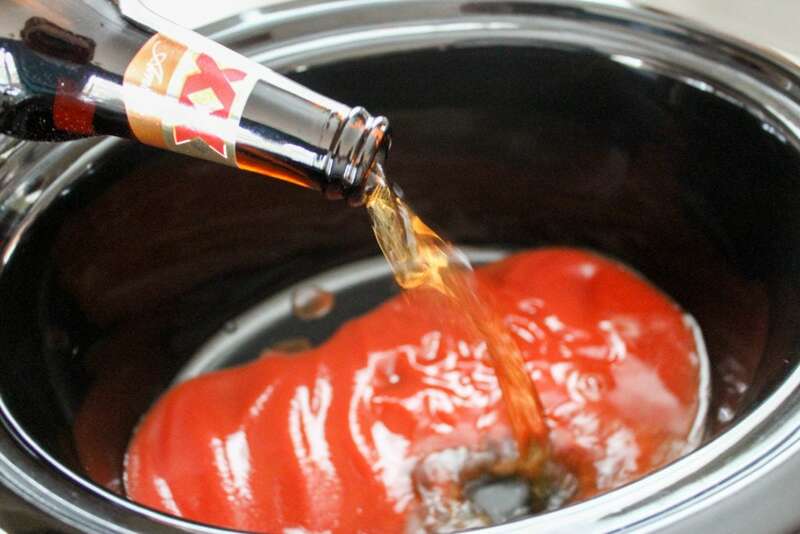 Pour half the beer and all of the tomato sauce into the bottom of a slow cooker. Combine all the spices together and rub them all over the meat. When the skillet is very hot (preheat for 7-10 minutes), add the roast and sear on all sides until brown and crusty, about 5 minutes per side. 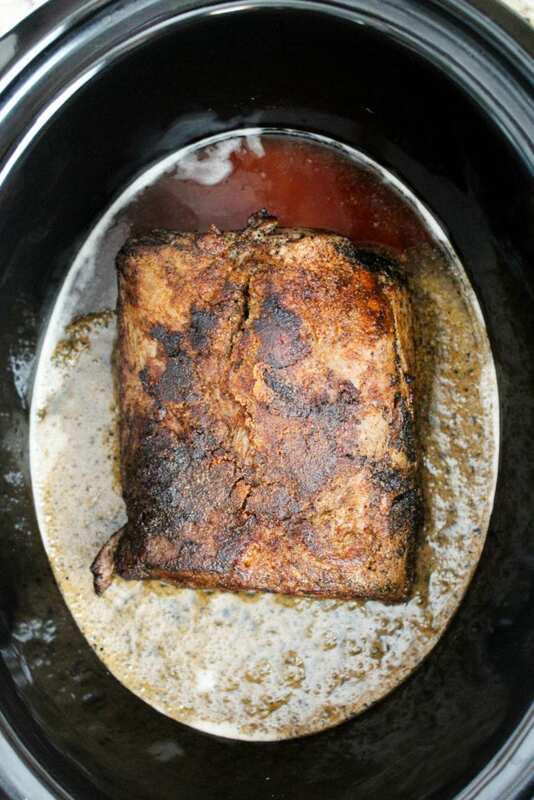 When the roast is brown all over, remove it to the slow cooker. 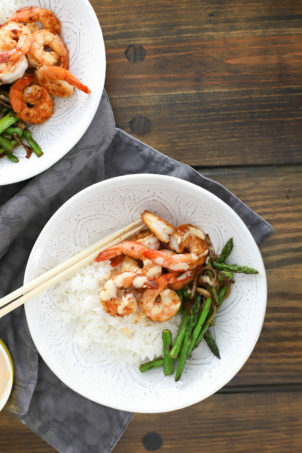 Turn the heat off the skillet. Add the rest of the beer and swirl to deglaze, then pour the beer and drippings into the slow cooker. 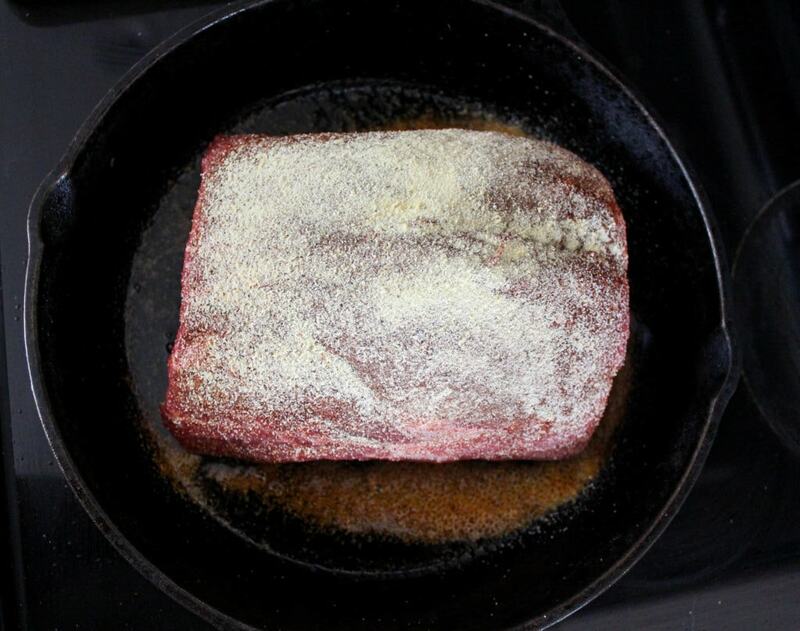 Cook the beef on low for 8-10 hours (I do this overnight), then remove the beef to a plate and the drippings to a small skillet. 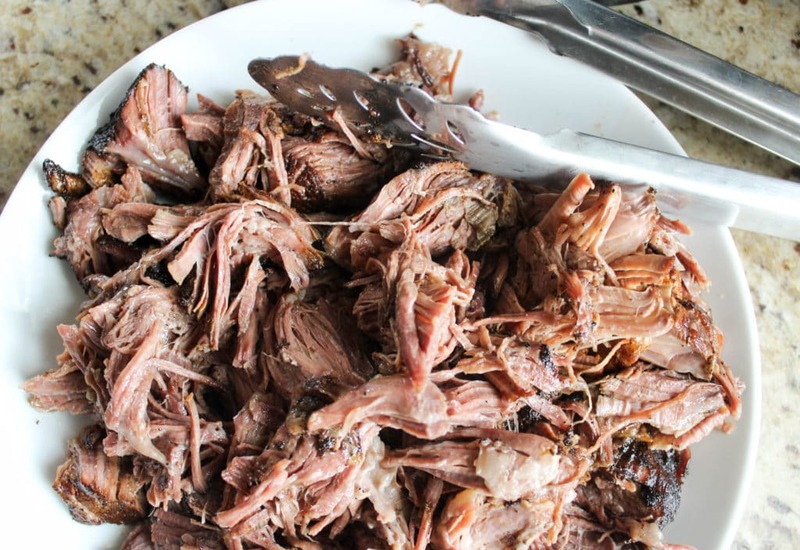 Shred the beef with forks, removing any large fatty pieces. 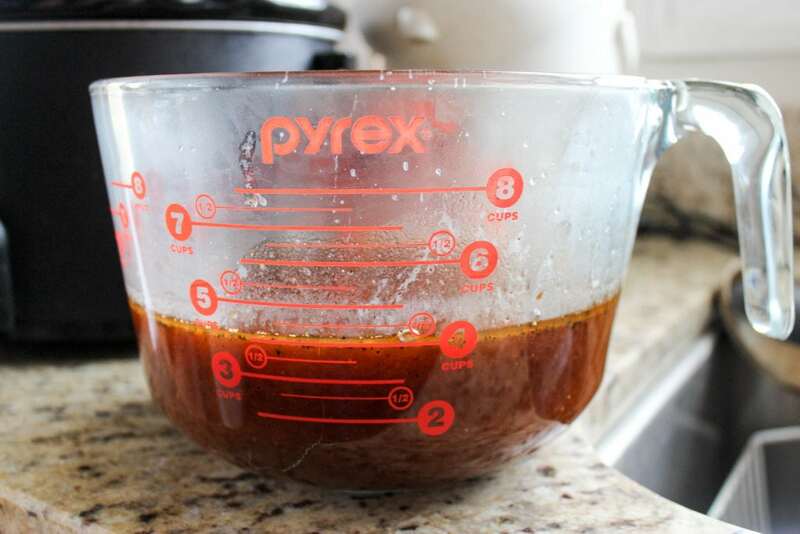 Heat the drippings over medium heat and let them simmer and reduce for about 15 minutes. 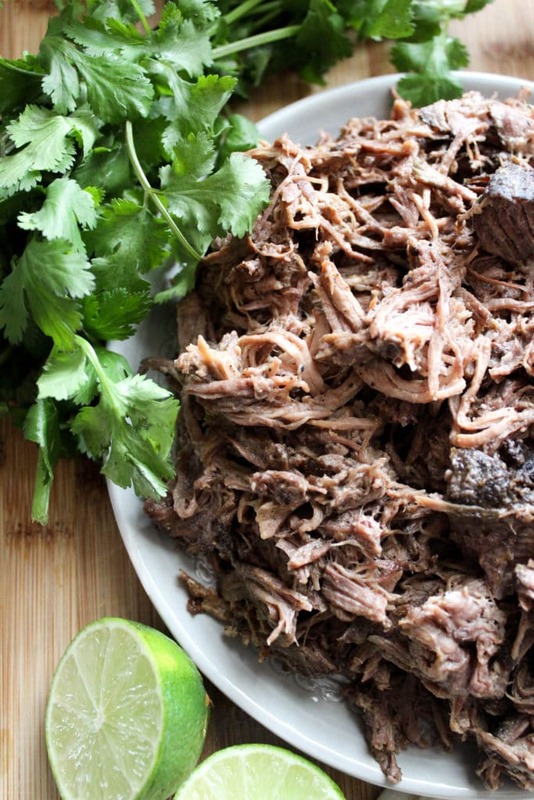 To serve, return the beef to the slow cooker on Low or Warm. 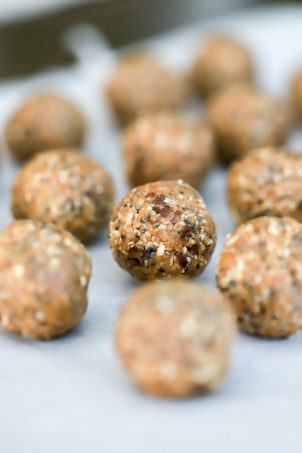 Drizzle with some of the drippings, then taste the meat and add salt if needed - mine needed about a teaspoon extra. 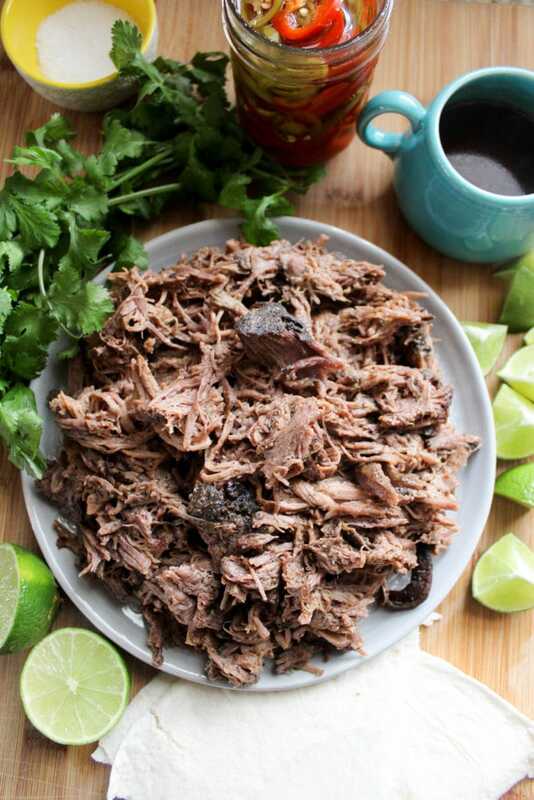 Serve the beef with your favorite Mexican meal with extra drippings for dunking and drizzling. Enjoy!